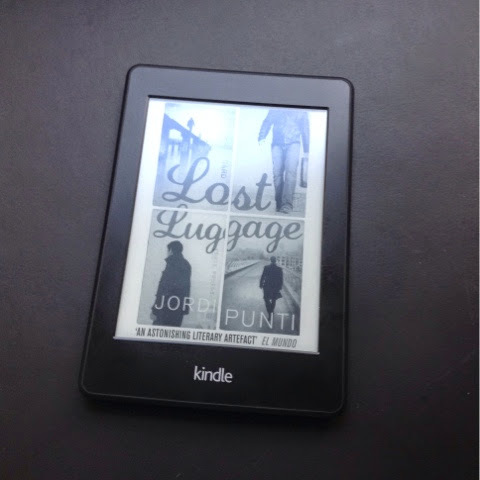 In order to not lag behind again, (still), I began Lost Luggage by Jordi Punti last night. And so far? It’s great. I’m enjoying it more than I have any of Bolano’s books, but probably that says more about me than it does about Roberto who is much beloved by Those Who Know. The premise of Lost Luggage lies with one father of four sons, each of whom have a different mother. In a different country, no less. Christof, Christophe, Christopher and Cristofol are four brothers who live in four different cities (Frankfurt, Paris, London and Barcelona) unaware that their common tie is their father, Gabriel Delacruz. While this might sound appallingly like a soap opera, it actually has me quite transfixed as I read about the brothers meeting, the brothers comparing their lives, the brothers wondering exactly who their truck driver father is. When I discover for myself, I shall let you know. In the meantime, this is just one of the books I hope to read for Spanish Lit month this July. Also included in the stacks is Gabriel Garcia Marquez’ Love In The Time of Cholera and hopefully something by Sandra Cisneros or Julia Alvarez whose writing I have adored in the past. Fortunately, they're not abbreviated in the text. The spelling of their names actually helps me place them in the correct country, too. Love the premise – enjoy! Sounds like an interesting and confusing read (they are all named Christopher!?). I love that you plan on reading something by Cisneros or Alvarez. Cisneros is one of my favorites 🙂 I actually just bought her latest, Have You Seen Marie? 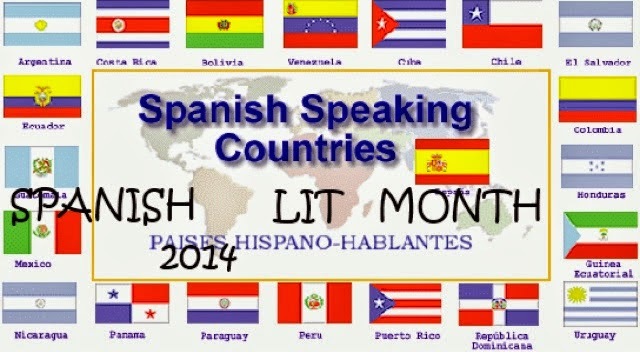 Enjoy your Spanish Lit reads! This one sounds interesting and intriguing – looking forward to hearing more about it.